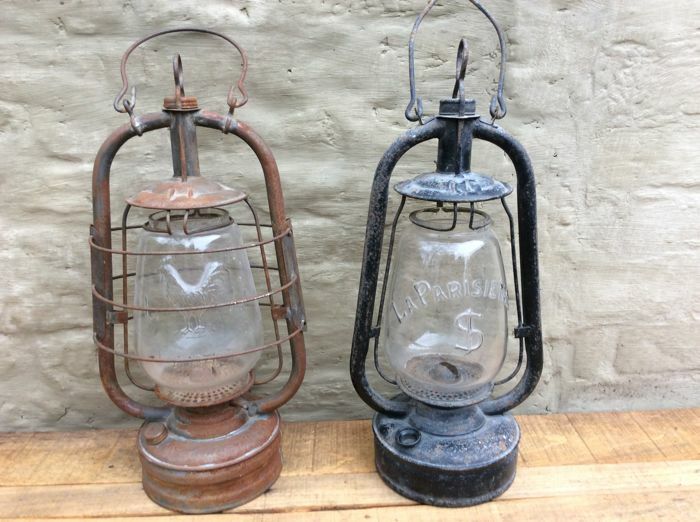 2 antique stable or storm lanterns that can be used as outdoor decoration for a Nativity scene or as indoor decoration. 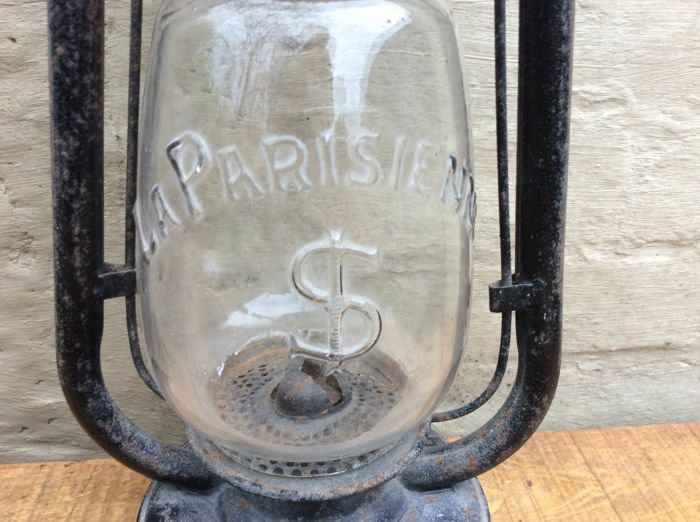 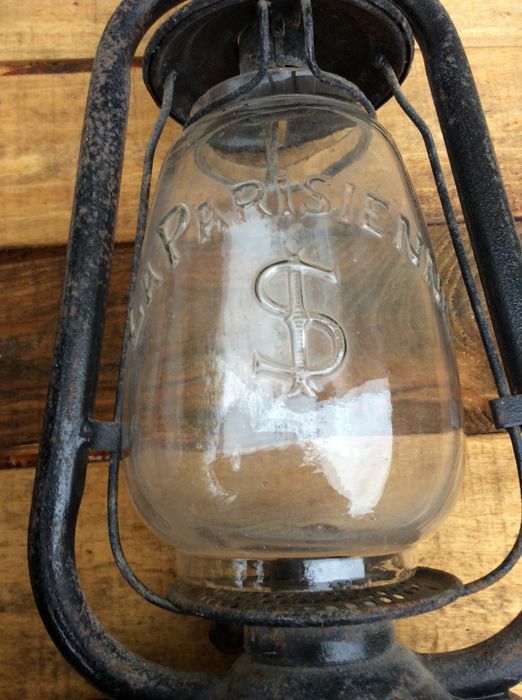 One lantern is inscribed La Parisienne . 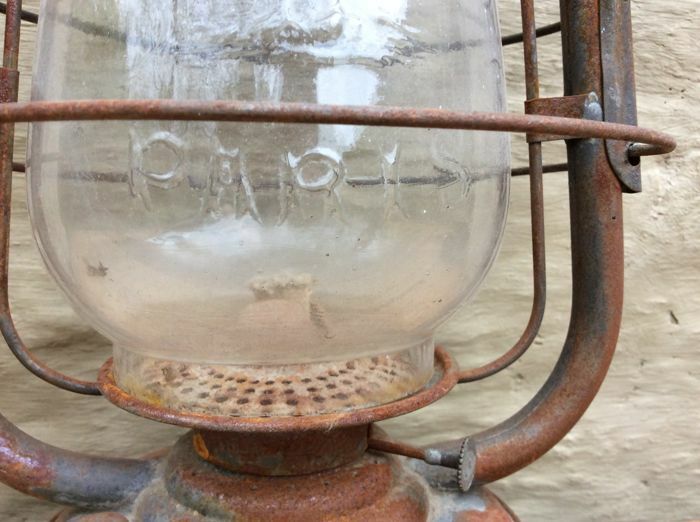 The same lantern has some chipped glass on the back, but this is hardly visible. 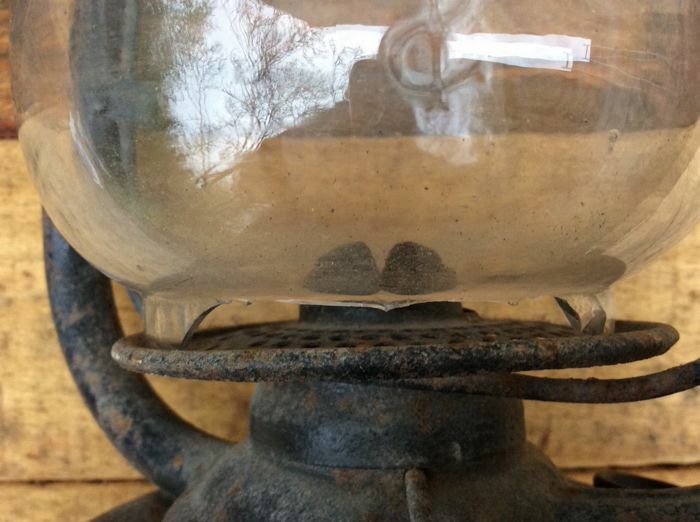 The lid of one of the jars is missing but it is still closed. 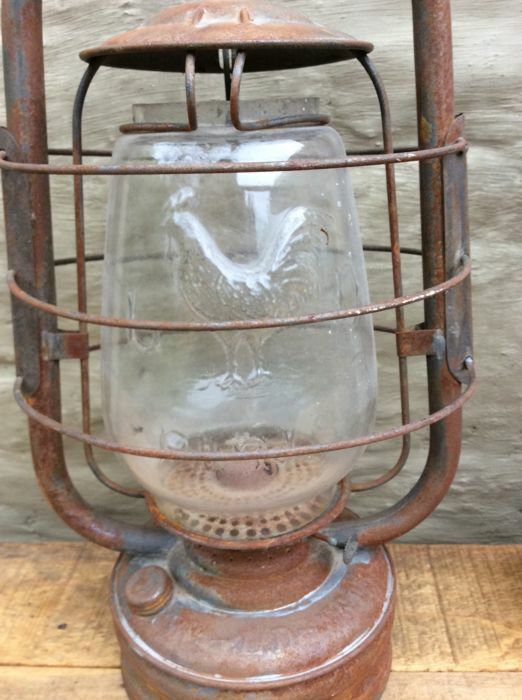 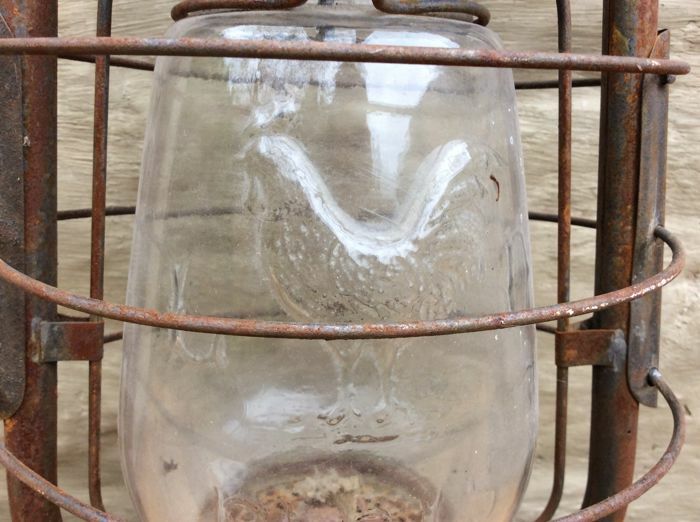 One lantern features a rare depiction of a rooster - LD - Paris. 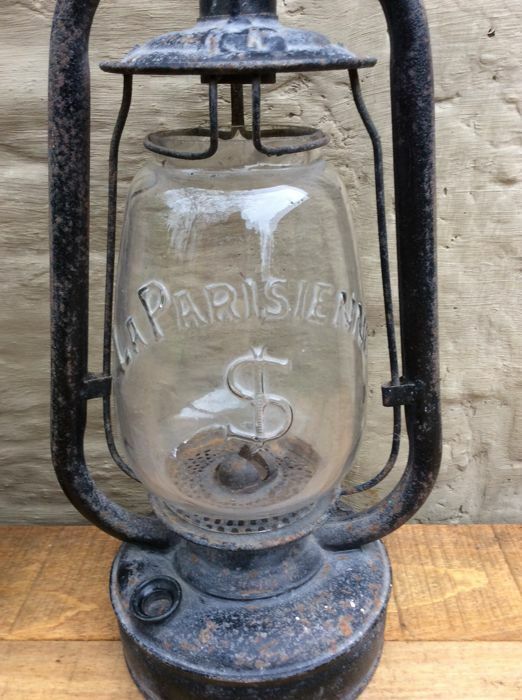 Height: 41 cm excluding the handle. 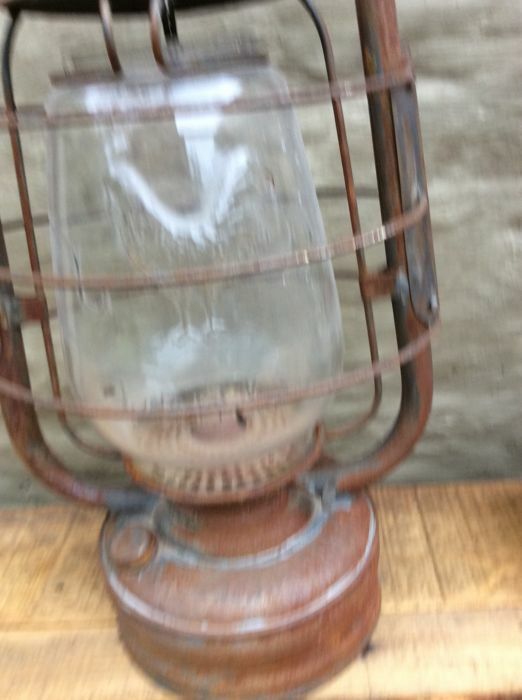 Very nice as Christmas decoration. 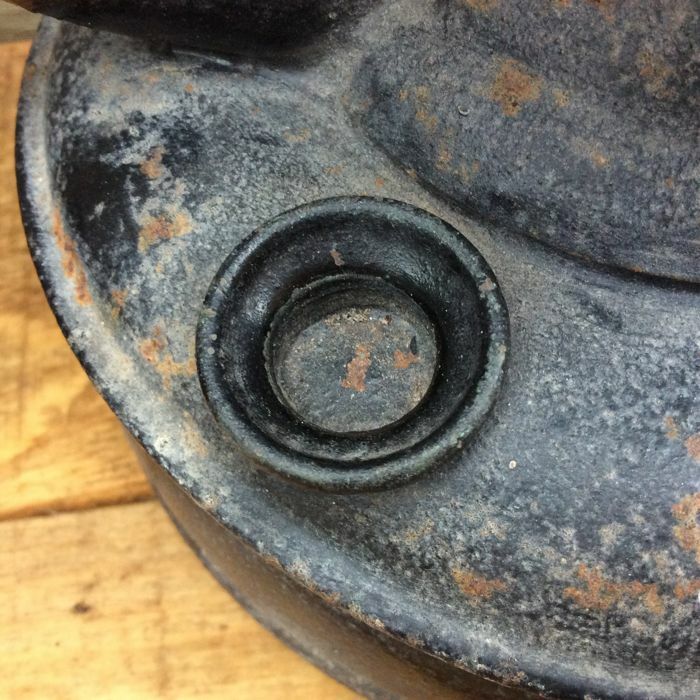 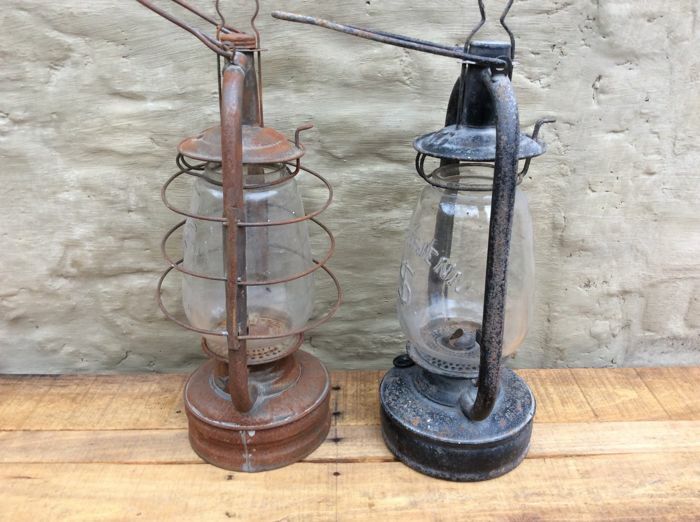 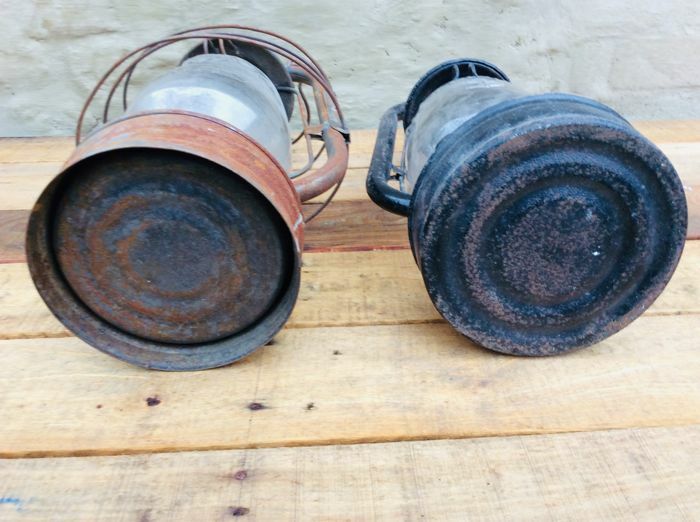 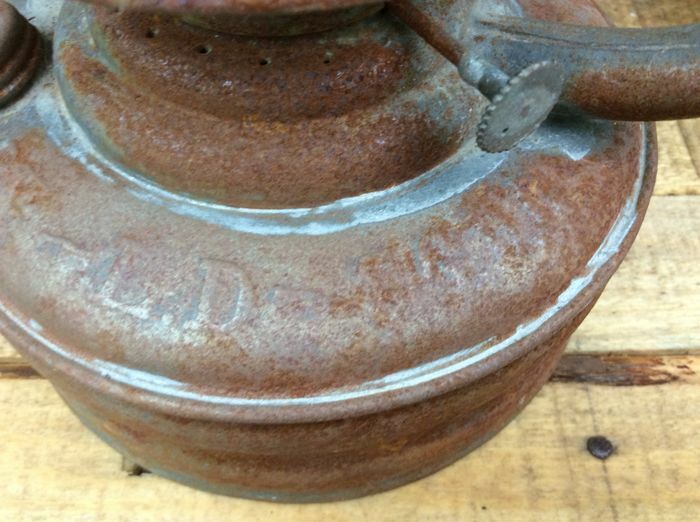 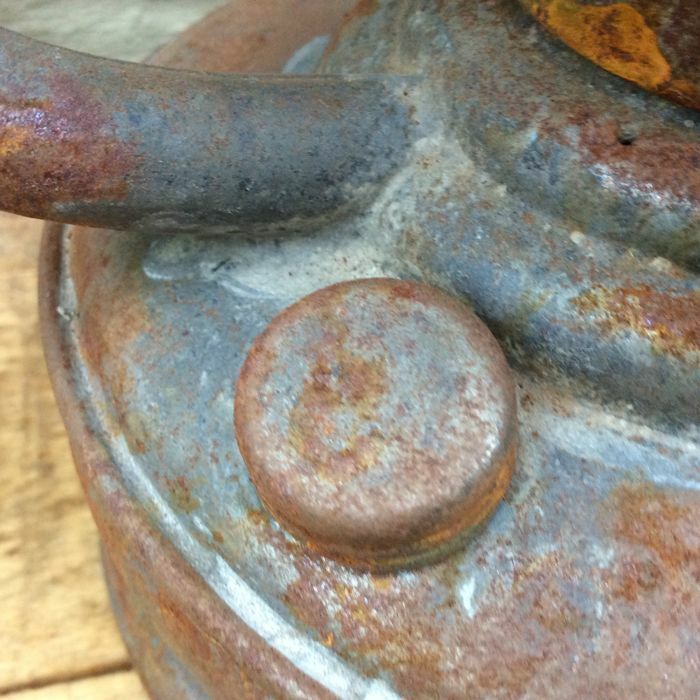 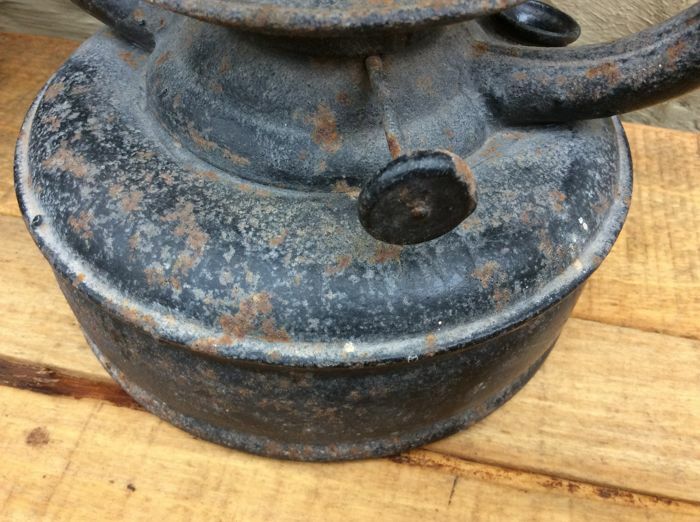 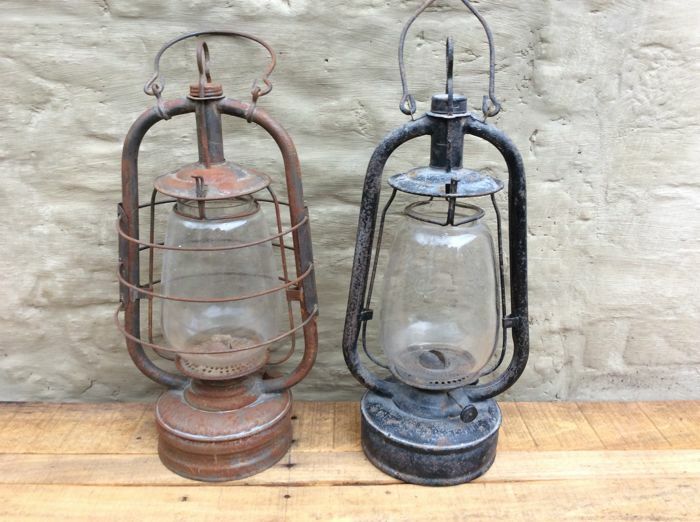 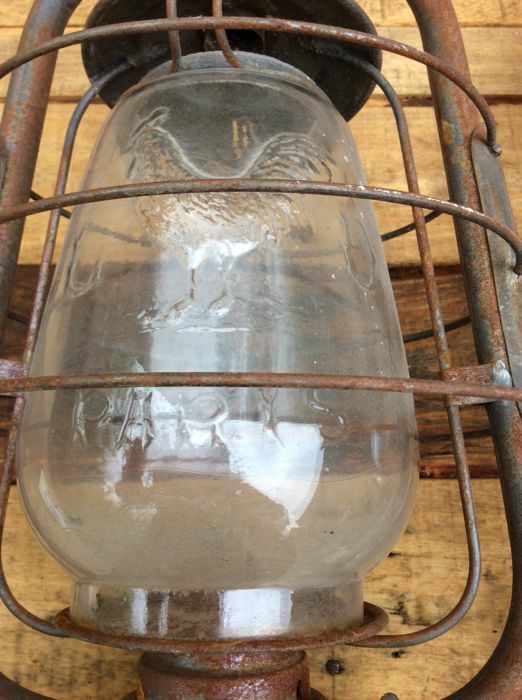 Both lanterns have an original (patina).